Good morning everyone, I thought I would share some pretty spring influenced throw pillows today that will help brighten up your living space and are oh so pretty! Throw pillows are such an easy, expensive way to switch up your decor and can change the look of an entire space. 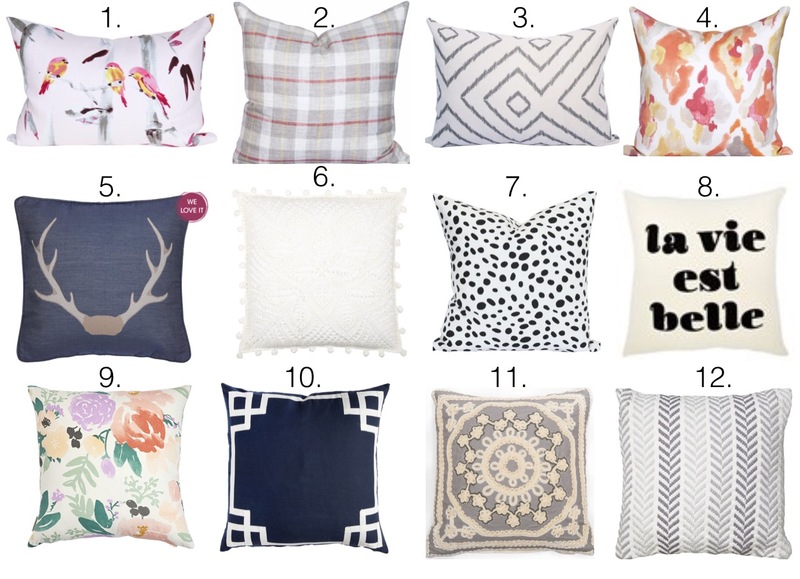 I am a bit of a throw pillow hoarder as my husband likes to say because it just seems like I never have enough haha. 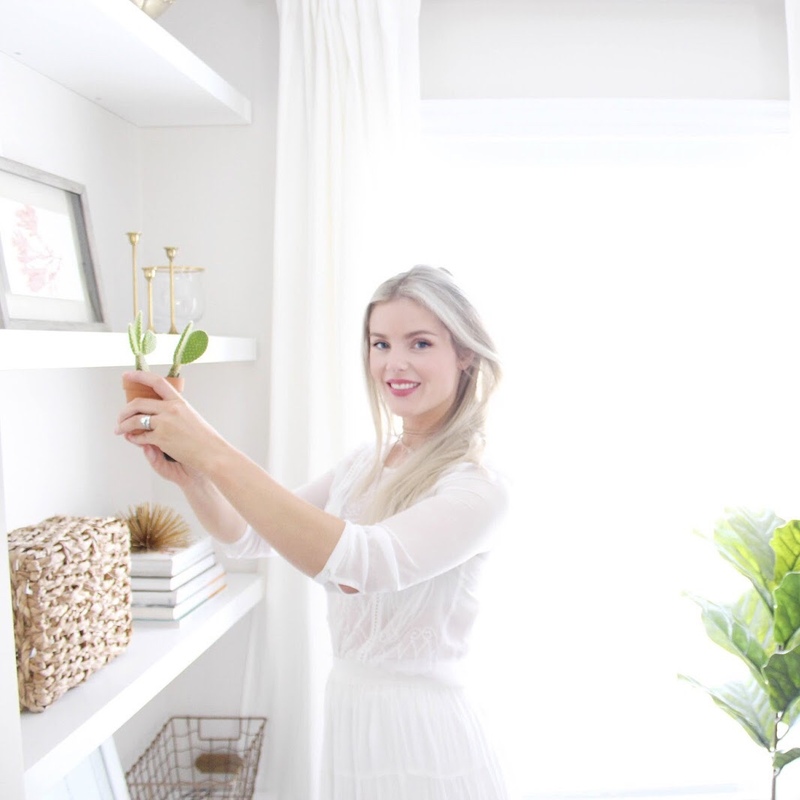 These are some of my favourite places to shop along with Homesense. 1-4.&7. If you all haven't heard of Tonic Living you are seriously missing out. This fabric shop is gorgeous and carries the most beautiful prints. Along with throw pillows they offer many other custom services. I seriously could have filled a whole board with their prints so I just chose a few that I am loving. My favourite here is definitely the birds, anyone that knows me personally knows I have a little bit of an obsession. 5.&6. These two pillows are both from Bouclair and are so fun. I adore that white pom pom pillow. 8. This graphic pillow is from Chapters Indigo. I am loving the phrases on pillows trend and think it's such a fun way to add a little pop. 9.&10. Both of these pillows are by Caitlin Wilson and they are just two of the many beautiful prints she offers. 11. This little pillow is from Wicker Emporium and I thought it was such a pretty print, but also still neutral feeling. I feel like a lot of people forget about Wicker Emporium when shopping for throw pillows but they really do have some pretty pieces at good price points. 12. I have always loved wayfair.com so now that we have a Canadian site I have been lusting over so much of their stuff. This is one of many throw pillows I loved on their site and if you guys haven't already you should definitely check it out however you are warned, you will get sucked into the wayfair vortex.